Reprinted form MOAA’s Website The House Budget Committee completed work on its version of the FY2005 Budget Resolution, but not without some controversy on MOAA's top legislative priority for the year. The Committee ended up putting no specific budget authority in the resolution to end the "SBP widows tax" that cuts Survivor Benefit Plan (SBP) annuities for military survivors attaining age 62. But senior Republicans and Democrats on the committee each expressed their own brand of determination to support an SBP fix this year. Committee Chairman Jim Nussle's (R-IA) plan establishes a "reserve fund" placeholder for a legislative SBP fix in the FY2005 Defense Authorization Act. But the Committee didn't identify any specific source of funding to cover the expected cost of the fix -- $498 million over five years, according to the Congressional Budget Office. 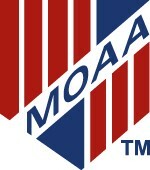 The Committee action disappoints MOAA on two counts. First, we're disappointed that, after all the input the Committee received on this issue, it wasn't deemed a high enough priority to receive specific budget authority in the "Chairman's mark." Second, we're disappointed that the Rep. Edwards' amendment, which MOAA and other military and veterans organizations strongly supported, was not adopted. The Republicans on the Committee, led by Chairman Nussle, defended their votes against the amendment, saying that they support the SBP fix, but could not vote for the tax offset, which they saw as politically motivated.